You inspire others to not give up Cass based on your continuance to fight on – which is incredibly inspiring. Thank you for everything. Oh Josh! So sweet of you. Do you have Facebook at all? 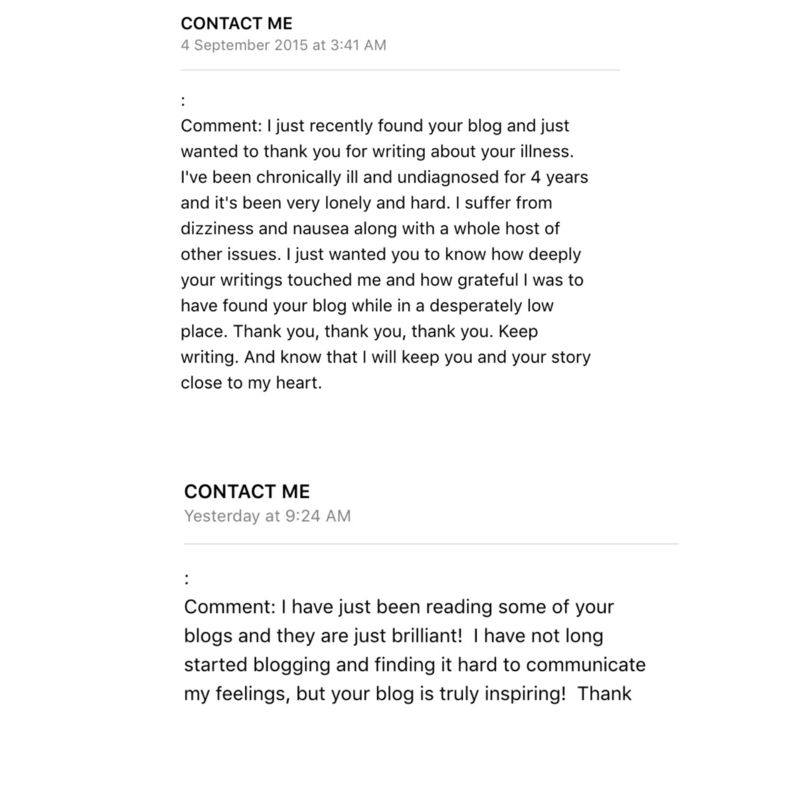 I’d really love to connect with you outside of blog world as I am not on here consistently anymore. I will delete this for privacy okay? Glad you feel better after all the lovely comments we leave you 🙂 I think the reason why so many people can connect with you: there’s a small amount of people who are completely healthy. Most of us fight either mental or physical illnesses, sometimes even both. And people who don’t have any illnesses may know someone who has, or they simply have their problems which they have to fight on a daily basis.